eCoach is a new brand of coach. They connect athletes of all ages and skill levels to experts in their respective sports through state-of-the-art video analysis coaching software. eCoach provides ongoing relationships through athletic performance improvement content and services regardless of time and location. Video coaching in the palm of your hand! Learn more about eCoach at ecoach.coach. Schedule It is a game-changing solution for Claims Adjusters who are tired of doing so many administrative tasks alone everyday. Each of their high volume Claims Adjuster partners is assigned a Schedule It PSA (Personal Scheduling Assistant) to handle all administrative and logistical tasks revolving around routing, calling, and scheduling. Schedule It’s PSAs rapidly become trusted assistants, and save their high volume Claims Adjuster partners a lot of time and hassles. And that allows their Claims Adjuster partners to close more claims. Learn more about Schedule It at scheduleit.io. Wyzerr is reinventing the way businesses collect and analyze data by building smart technology for consumer feedback that look and feel like games. Our edgy designs and ground-breaking technology makes it possible to capture responses to 25 questions in under 60 seconds. 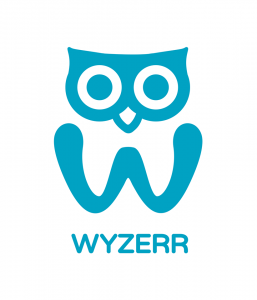 Learn more about Wyzerr at wyzerr.com. Liberate Medical is a new medical device company. Their first product, VentFree, is being designed to change the standard of care for patients requiring mechanical ventilation. It uses non-invasive breath synchronized electrical muscle stimulation to prevent or reverse the detrimental breathing muscle weaknesses that results from prolonged use of mechanical ventilation. Learn more about Liberate Medical at liberatemedical.com. Nectar Technologies is a clean coal technology company based in Henderson, Kentucky. Gryphon Environmental supplies large-scale drying products used to reduce suspensions in the municipal, industrial, agricultural and food and beverage industries. Gryphon has made it possible to use mass transfer and heat transfer to remove water from a suspension. The result is efficient and low-cost drying technology that makes it more affordable to dry biomass, biosolids, sludge, rendering byproducts and proteins. Learn more about Gryphon Environmental at 2gryphon.com.